Discovered by Ponce de Leon in 1513, the Dry Tortugas were named after the large population of sea turtles living in the island’s surrounding waters. “Tortugas” means turtles in Spanish, and Ponce de Leon himself caught over 100 sea turtles during his time on the island. The name “Dry” Tortugas was later given to the island to indicate to other mariners that the land mass lacked fresh water, which was an extremely important detail for seafarers to know. The area is known for its treacherous reefs, and in 1825 a lighthouse was built on Garden Key to warn ships and guide them toward safety. At the time shipwrecks were common, and with underwater wrecks dating back to the 1600s, the Dry Tortugas currently possess one of the richest concentrations of shipwrecks in North America. It is also because of these large reefs surrounding the Tortugas that the U.S. was able to establish one of the most strategic harbors in U.S. history, and Fort Jefferson was born. 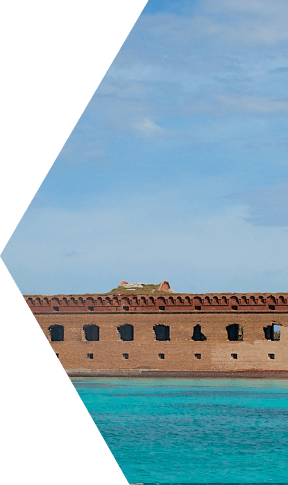 Construction of the fort began in 1846, and although it was never officially finished, it remains a historic icon of the Dry Tortugas and receives thousands of visitors yearly. Using modern charting technology, you can now enjoy a safe and enjoyable trip aboard the Yankee Freedom III and experience the adventures of the Dry Tortugas with your family and friends. If you have ever wondered where the name “Dry Tortugas” came from, you’ve come to the right place! 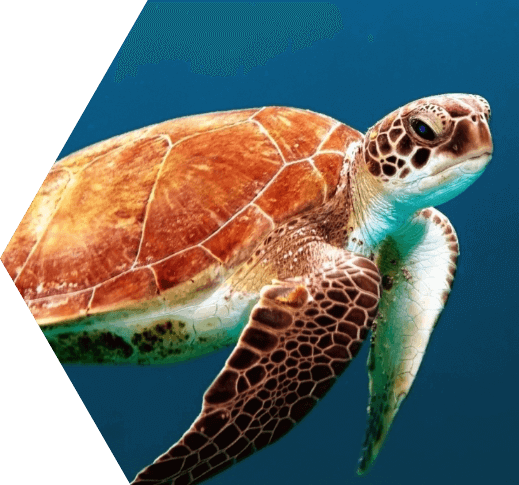 When Spanish explorer Ponce de Leon discovered the island in 1513 he was amazed by the amount of sea turtles he saw; they were everywhere! He decided to name the island after the magnificent animals and gave the island the name “Las Tortugas” which is Spanish for “the turtles.” Despite its beauty and abundance of nature, fresh water was scarce on the island, and the word “dry” was added to the name to warn sailors and visitors that they needed to bring their own fresh water to drink. But don’t worry, the Yankee Freedom III will provide you with plenty of food, water and other beverages on your trip to the Dry Tortugas! 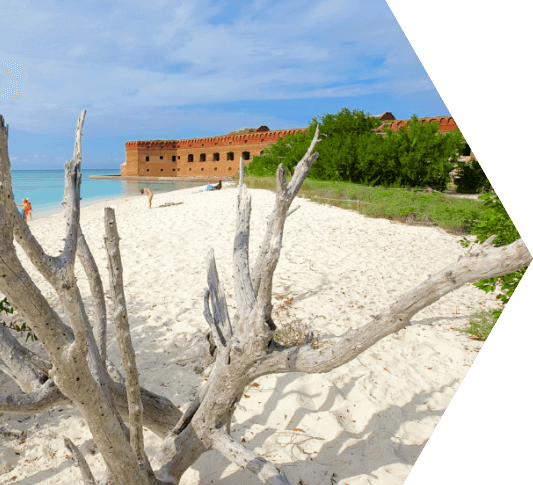 Dry Tortugas National Park encompasses the history and natural wonders that make this island at the Southern tip of the United States a truly remarkable place. It is home to a multitude of unique birds, and has the only regular U.S. nesting site of sooty terns on Bush key, adjacent to Fort Jefferson. With vibrant coral reefs, nesting sea turtles, unique tropical fish and underwater wonders, visiting the Dry Tortugas is an unforgettable experience.